From the best-selling author of Islam: A Short History comes an important addition to the Eminent Lives book series. 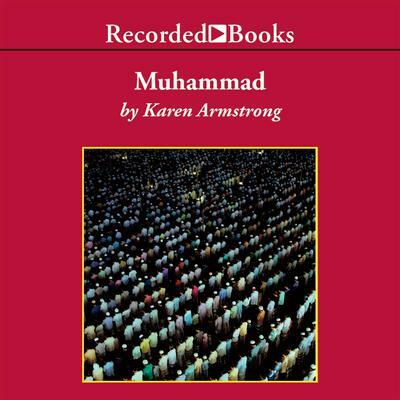 A former Roman Catholic nun and winner of a Muslim Public Affairs Council Media Award, Karen Armstrong shows how Muhammad's life can teach us a great deal about our world. More is known about Muhammad than any other major religion founder, yet he remains mysterious. Born in 570 CE, he spent six decades spreading his message of peace and compassion. Yet for many people today, their knowledge of Muhammad is rife with misconceptions and misinformation, often fueled by bigotry. Armstrong sets the record straight, shattering the myth that Islam is a religion of cruelty and violence. One of the world's leading religious experts, Armstrong is a deeply respected voice in the continuous struggle for interfaith understanding. Her cogent assessment of Muhammad's genius and insightful summary of his authentic beliefs are priceless in this modern world troubled by religious extremism and intolerance.